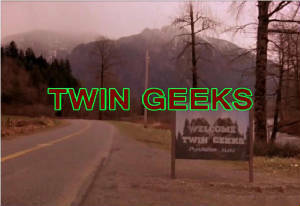 A parody of "Twin Peaks". Made in 1991 Cuyahoga Falls, OH. Originally aired May 22 1991 on "ZTV" & "The Bug & Unk Show" & "The Zone with Pit Turpin". Remastered 5-22-2017 PPL Micro Studios Minneapolis, MN. Timm McCoy, Ken Ingersoll, Barb Roland & Pat McLaughlin aka "Harvey Goldfarth". This is for Parody purposes only. No infringement is or was intended.